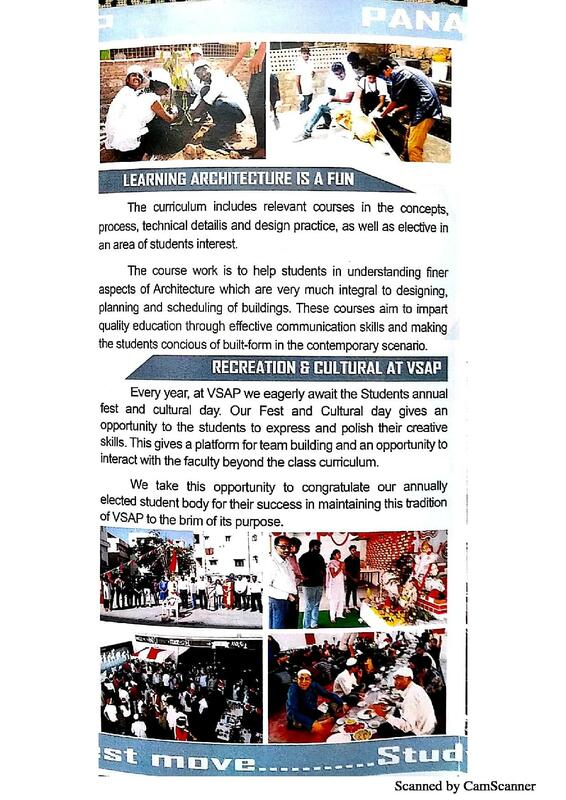 Vaishnavi School of Architecture, Hyderabad, was established in the year 2010.The college motive is to establish a global standard architecture institute with the latest technological knowhow and to realize the area of research as its extendibility through Post Graduation and research programs in next 10 - 15 years. The institute not only aspires to train competent technocrats but also to increase the student’s sensitivity to the emotional, spiritual and aesthetic dimensions. Also, the students are equipped to understand the complex society forces that would increasingly bear on them when they begin their professional life and to cope with them successfully. 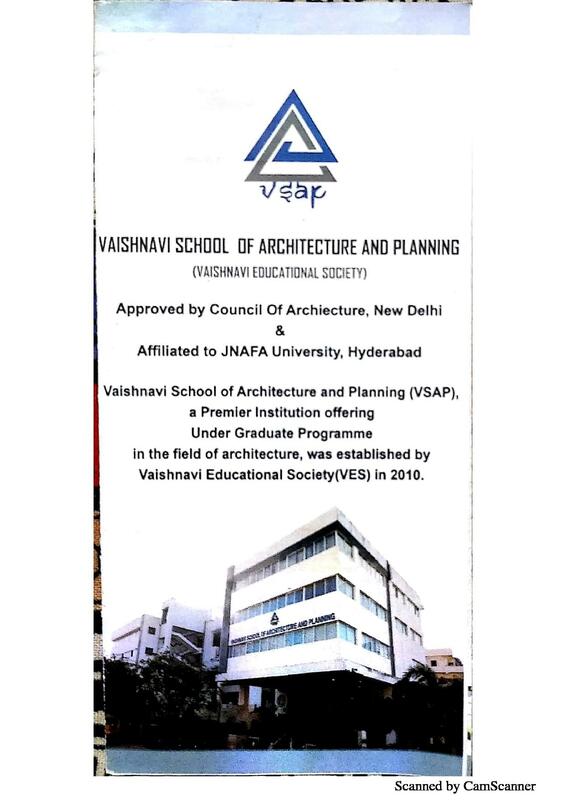 The Vaishnavi Educational Society (VES), a premier voluntary non- profit Organization that was registered as the society and a public trust established the Vaishnavi School of Architecture. 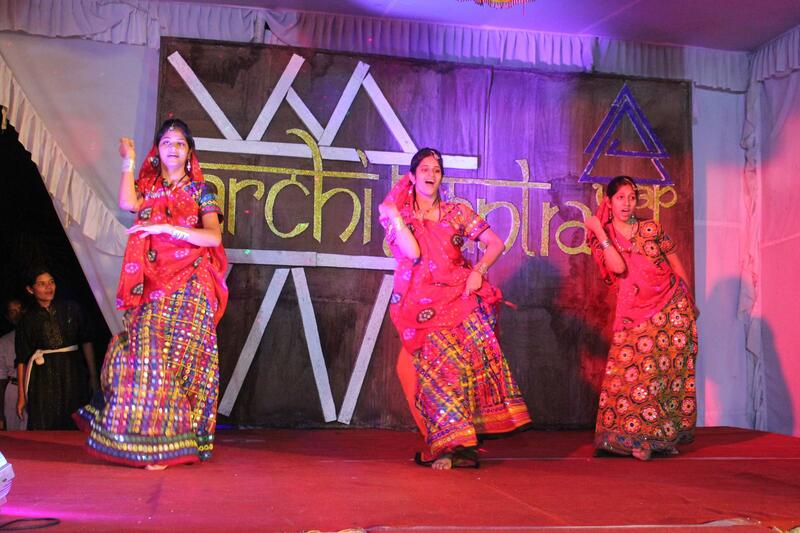 The college’s mission is to evolve a school of learning for sustainable habitat and built forms. 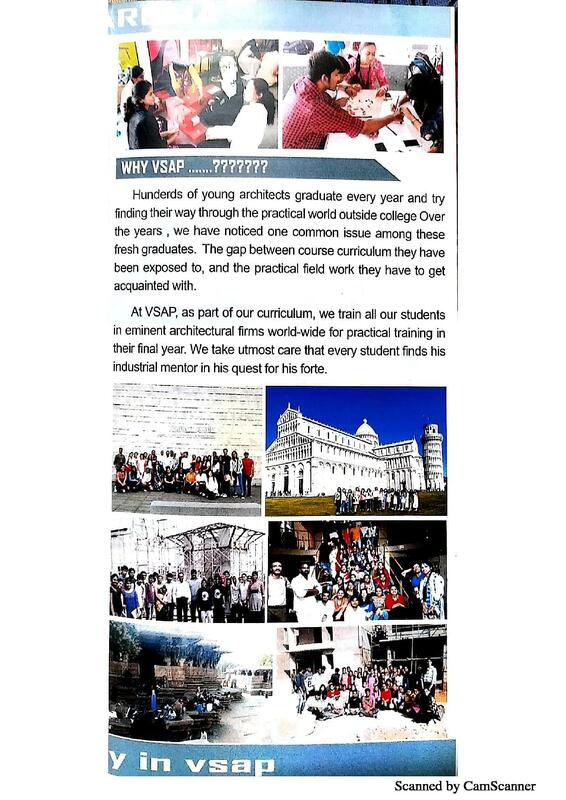 Facts and Figures of Vaishnavi School of Architecture, Hyderabad? 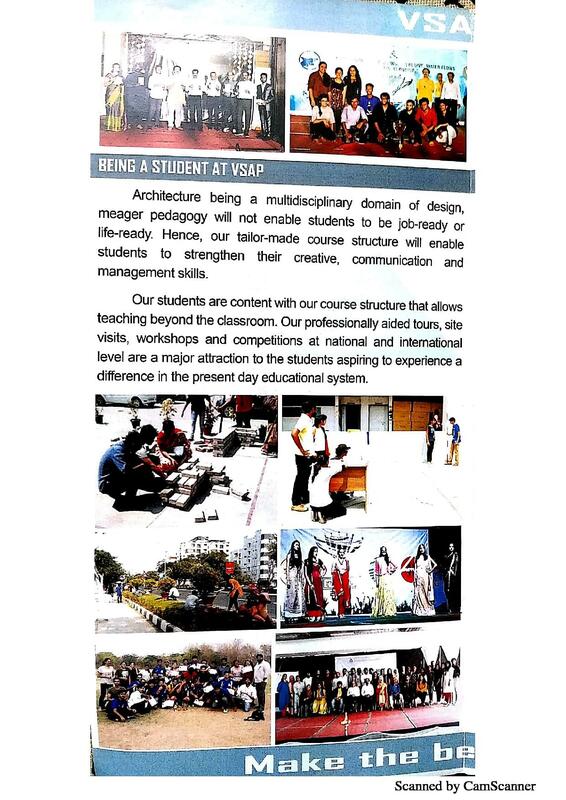 Why to Join Vaishnavi School Of Architecture, Hyderabad? 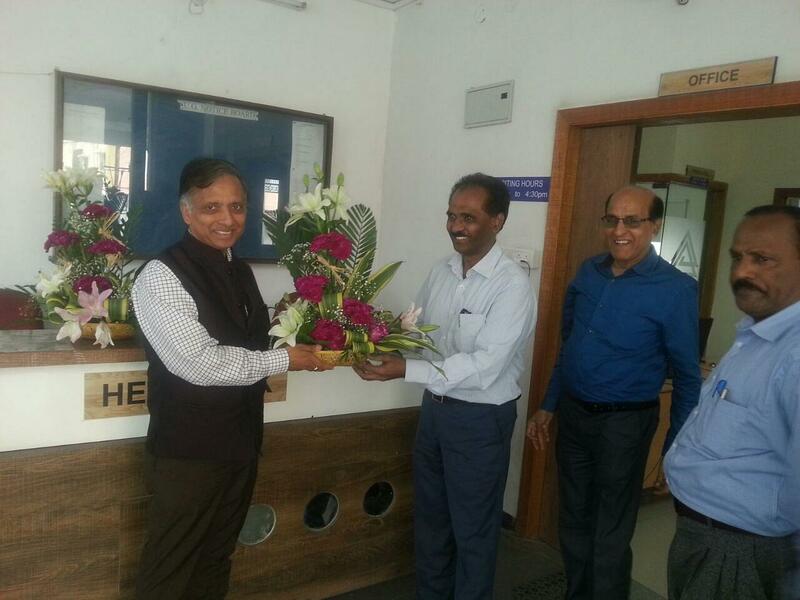 Faculty members: It has highly qualified, experienced and co operative team of faculty members. 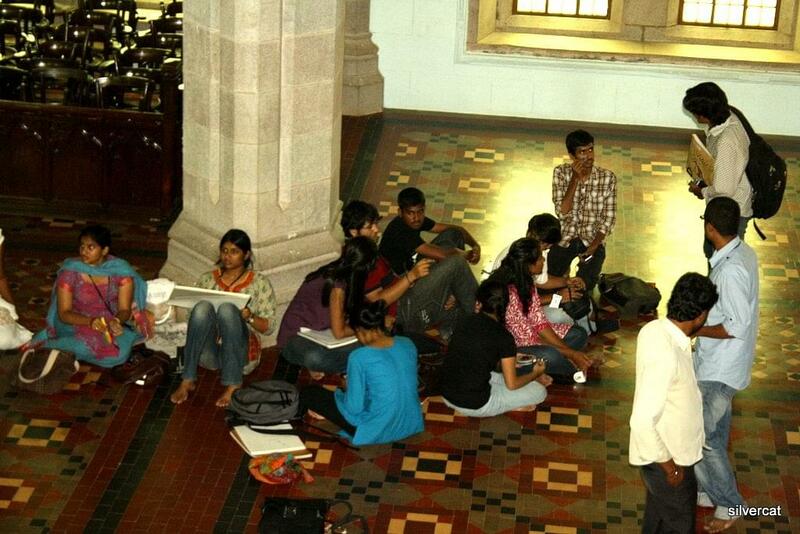 Placements: The institute provides 100% placement assistance. The institute is supported by COA and JNAFAU. Awards and Achievements: The institute received an IIID Students Award in the year 2010. 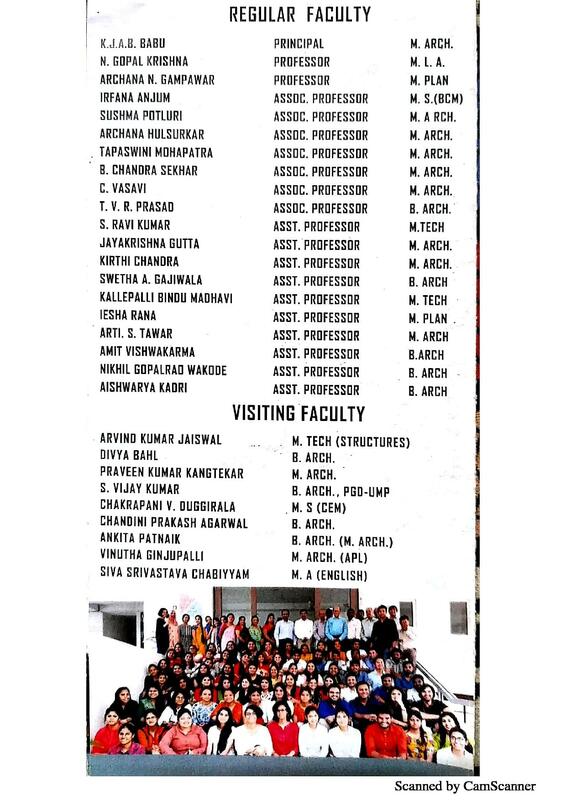 "Most dedicated Faculty members "
As the college was very new and the infrastructure was amazing I opted this college and I have no regrets as it has been the best college I would ever get passed from. 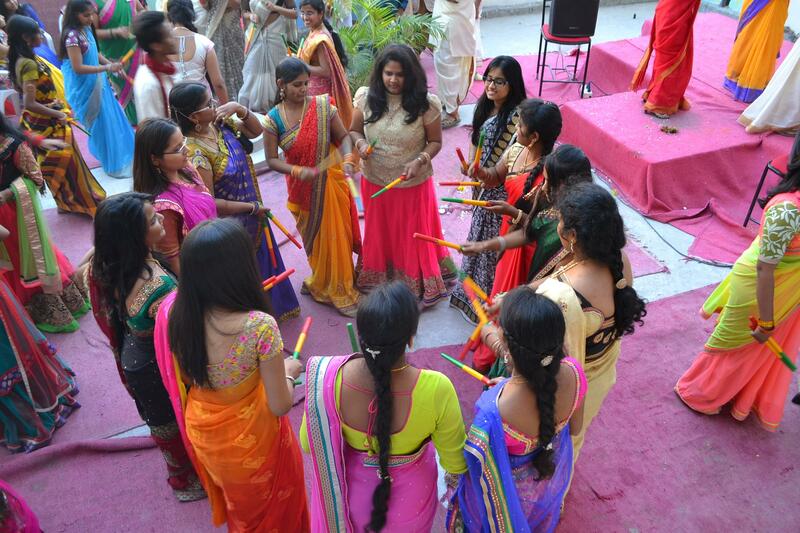 There is no lack of faculty and the management is also very friendly with all its students.